Maya needs a new bag for her swimming lessons. It took me a whole week to decide what kind of bag I want to make, and I've chose a simple string backpack. All you need is a two rectangle fabrics and two cords for the strings. 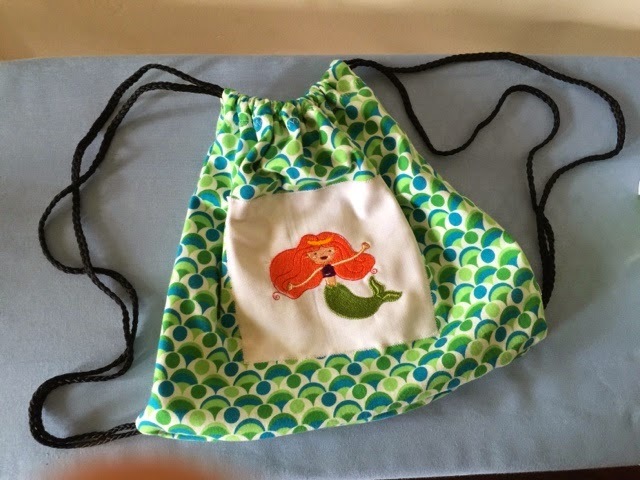 Maya asked for a mermaid bag so I've embroided one for her with my magnificent SE400 Brother sewing machine.